Built for entertaining, an executive timber-clad home which is a bonus. Luckily for you, I am elated to now offer you the chance to live and enjoy the affluent lifestyle to which you'll soon become accustomed. 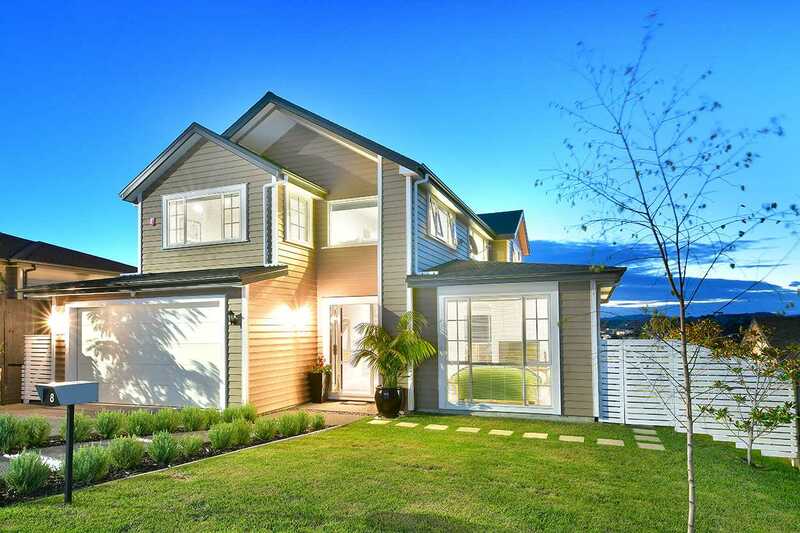 This elevated home sits on a 554m2 section and offers privacy, views and perfect location; so close to shops, motorway access, transport links, schools, cycleways, and so much more. The stunningly designed and exquisitely appointed chef's kitchen will provide aspiring chefs and busy families alike the opportunity to create both meals and memories while entertaining to the highest standard. The clever and well thought-out design of this home means that it flows seamlessly through the open plan kitchen, dining room and living rooms, all the way through to the five sizeable bedrooms and three striking bathrooms. Beautifully appointed and immaculately presented throughout, this elegant home boasts not one but two master suites, both of which are complete with walk-in-robes and ensuites (conveniently one on each level). Not to be outdone, the effortless flow from indoors to outdoors means that there are private outdoor entertaining areas; one of which enjoys an electric sunshade to provide an ingenious softening of the summer sunlight or to create shade for evening ambience. No expense has been spared creating this sanctuary - this property will leave you wanting for absolutely nothing. Call me NOW to be wowed!